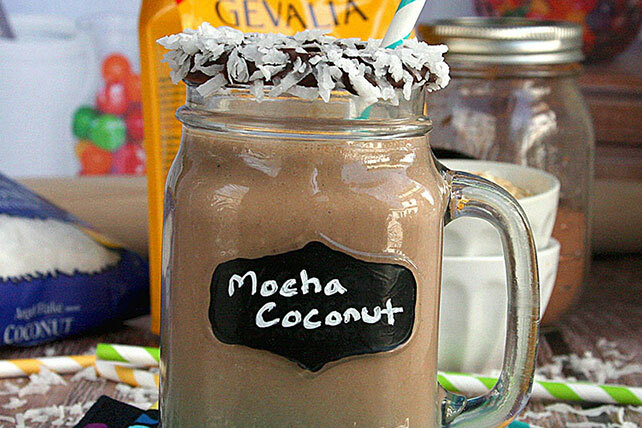 Rolled oats in your mocha-coconut smoothie? Yes—and the result is a rich, hearty sipper that's sure to become a favorite. COMBINE oats, BAKER'S Shredded Coconut, and cocoa powder in your blender. Pulse until all ingredients are well mixed and powdery. ADD Greek yogurt, coconut milk, and GEVALIA Coffee and blend until dry ingredients are well incorporated and mixture seems smooth. ADD banana and honey and pulse a few more times until mixture is smooth. Serve immediately or chill in fridge until ready to drink.